Come Join us on PodHaven! 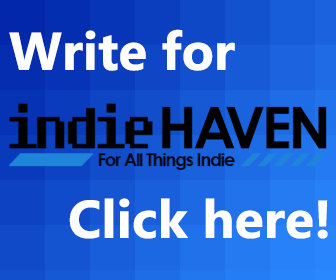 Want to Write for Indie Haven? Aspiring Games Journalist? Indie Haven Wants You! Morphies Law, a competitive shooter by where you steal your opponent’s body mass rather than just kill them in order to win, is finally getting a full release for Nintendo Switch and PC this Winter, and it’s looking very polished. E3 was graced last year by an early version of the game, and it found success on account of its pretty unique mechanic: rather than plain old shooting to kill, players would target opponents’ body parts, and successful hits would transfer a portion of mass from that part to their own. The resulting madness of pea-sized heads and thighs as big as small cars was not only incredibly amusing, but added an element of strategy in which skilled players would be bigger targets, and those on the losing team would have a far easier time avoiding gunshots. And a full release is finally seeing the light of day, with vibrant character models inspired by Mexican candy skull aesthetics. Moreover, it’ll be coming to the Switch, a move that falls in line with Nintendo’s advent of non-standard competitive shooters that it began with Splatoon. In a genre that’s so heavily-rooted in standard shooty-bang-bang violence, it’s nice to see developers attempting to break the mold and producing really unique, creative experiences as a result. I hope that this is a trend that we see continue to flourish in the industry, both indie and Triple-A. Astrid is the equivalent of Lenin if Indie Haven were the Bolshevik Party. But it's not, she's just the Editor-in-Chief. When she's not mashing Communism into video games and writing about how it makes sense on her personal website, they're manning the ship here, as well as writing news, reviews, and features all about the indie games industry.